"Campus from Administration Bldg. "; "As B? B? 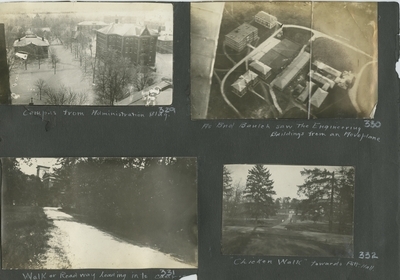 saw the Engineering Buildings from an aeroplane"; "Walk or roadway leading into campus"; "'Chicken walk' towards Patt. Hall."